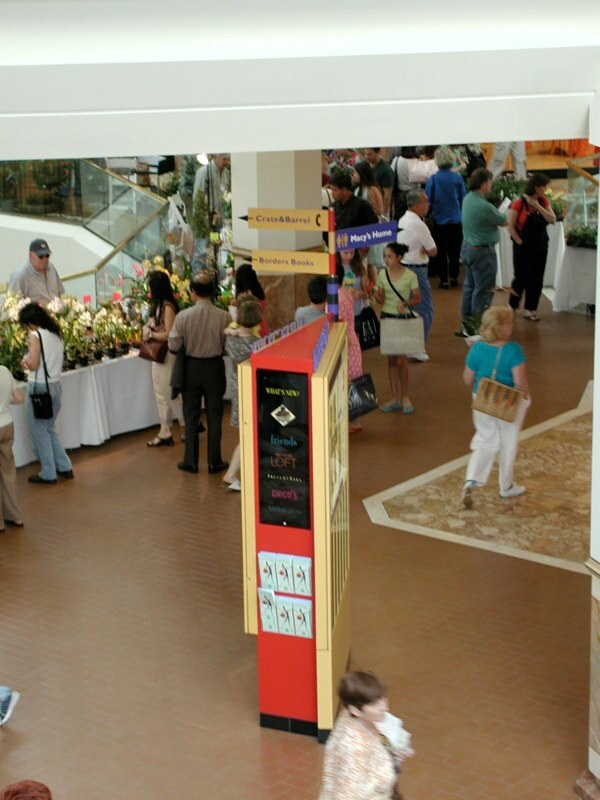 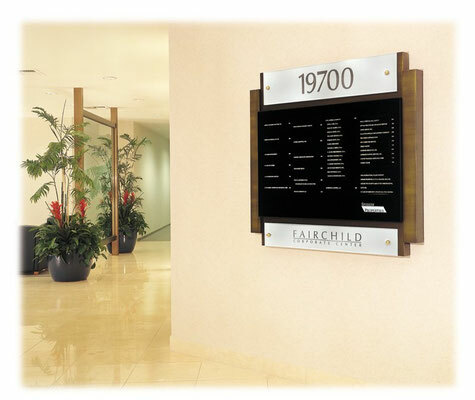 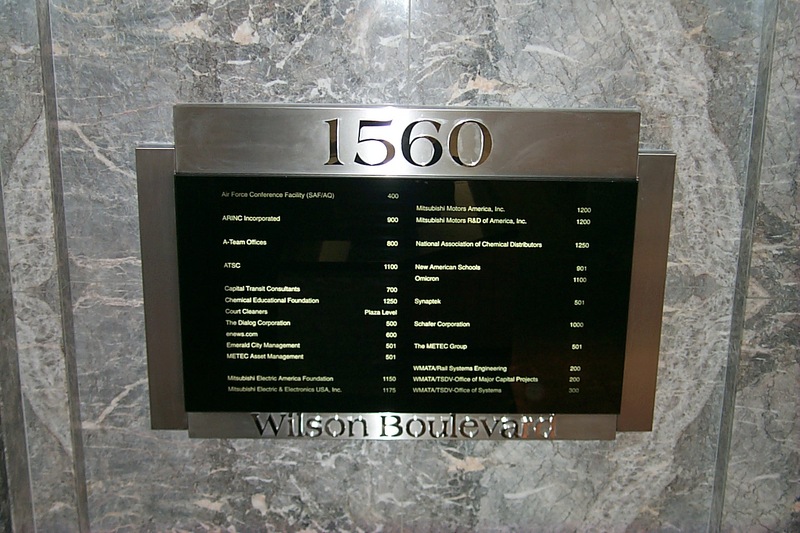 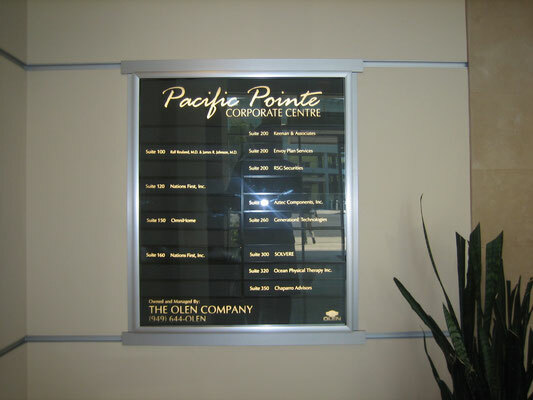 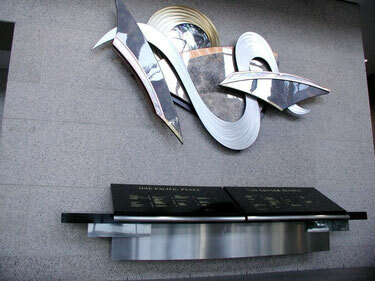 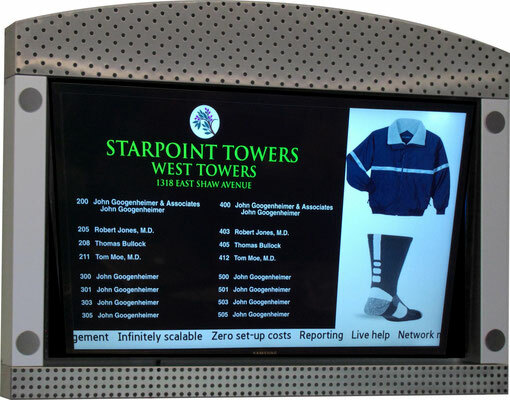 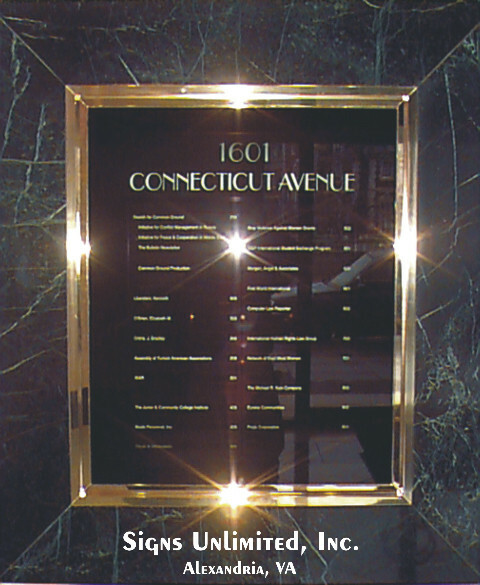 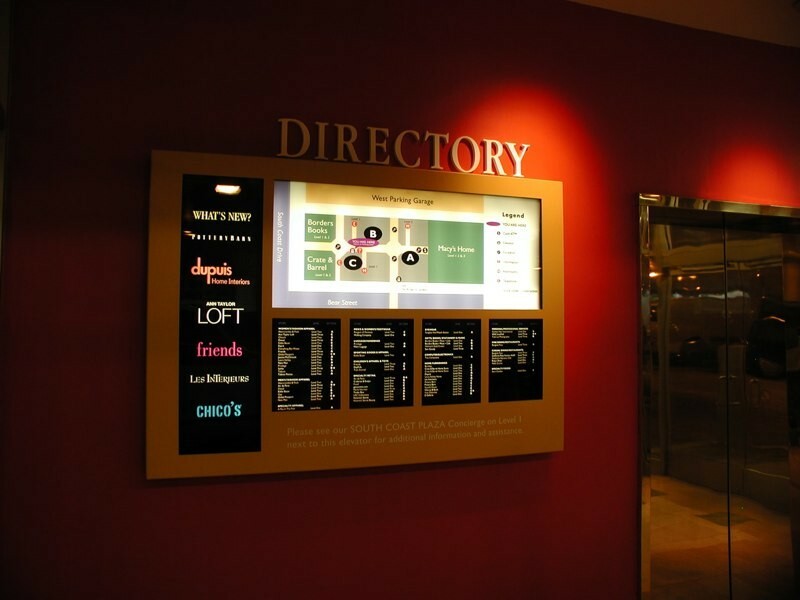 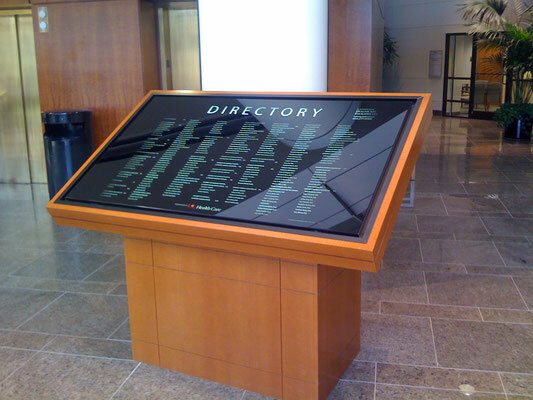 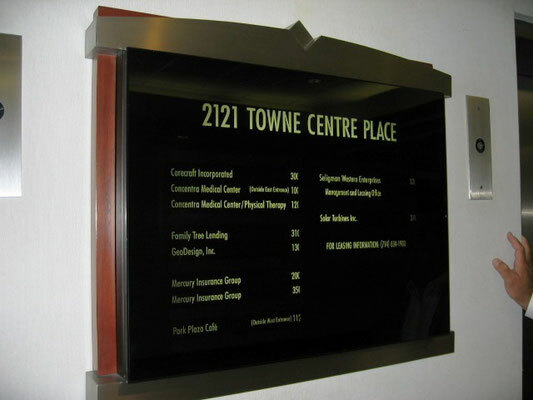 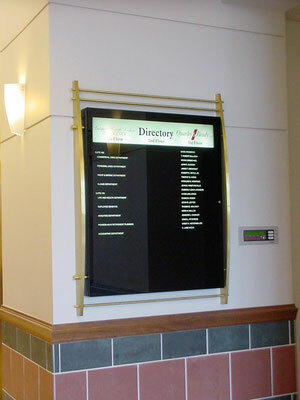 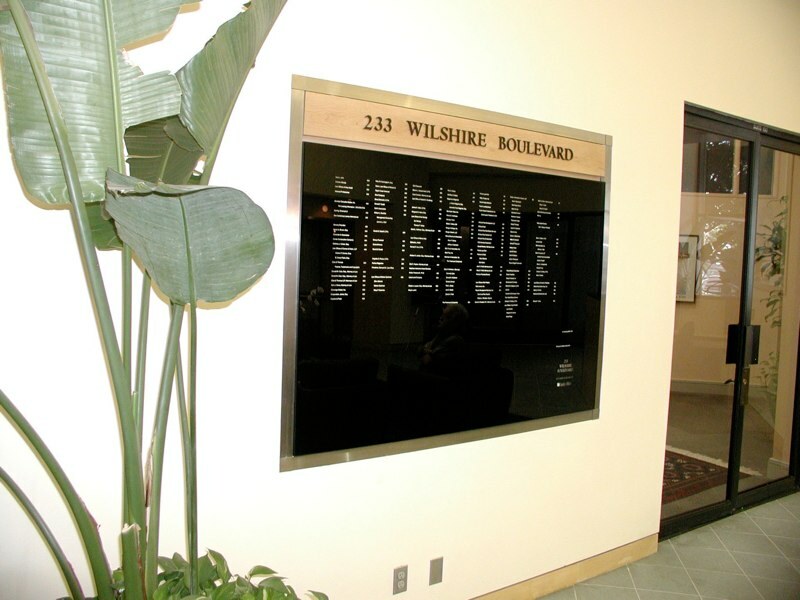 An essential part of facility, campus or building way finding is a directory sign. 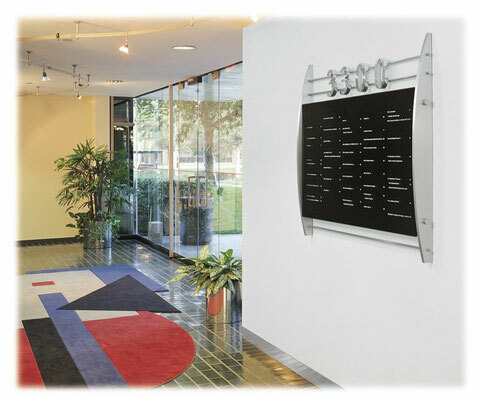 Teems, Inc. has been manufacturing, walk up and touch, quality cabinets for better than 30 years. 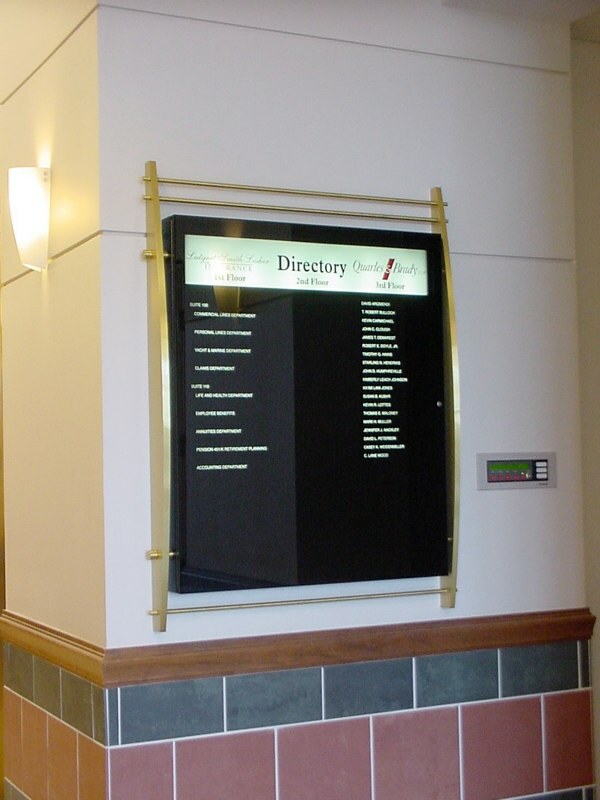 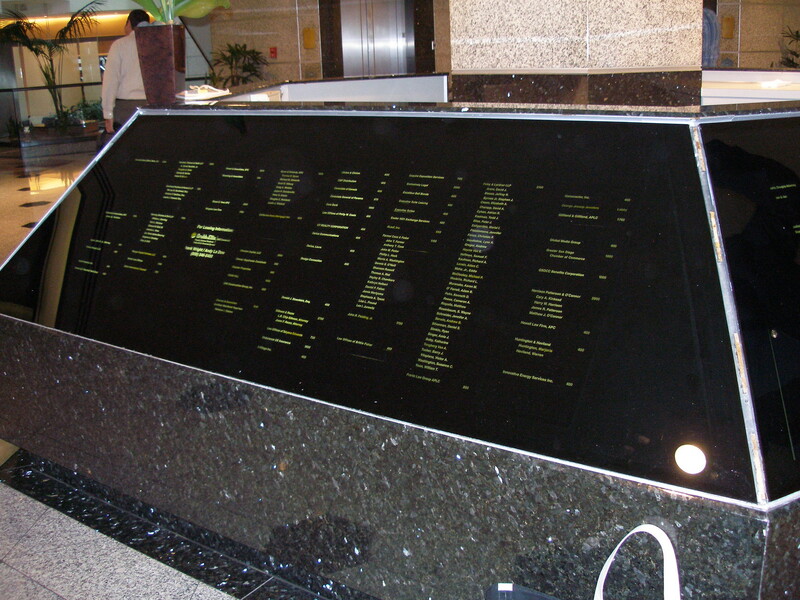 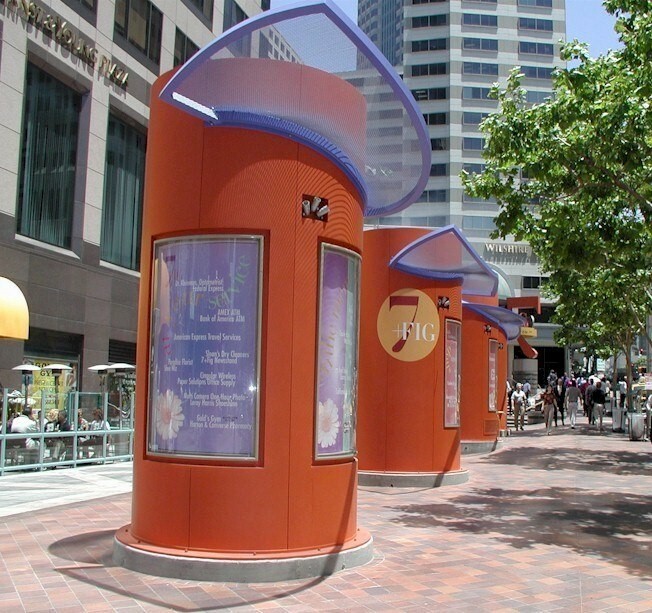 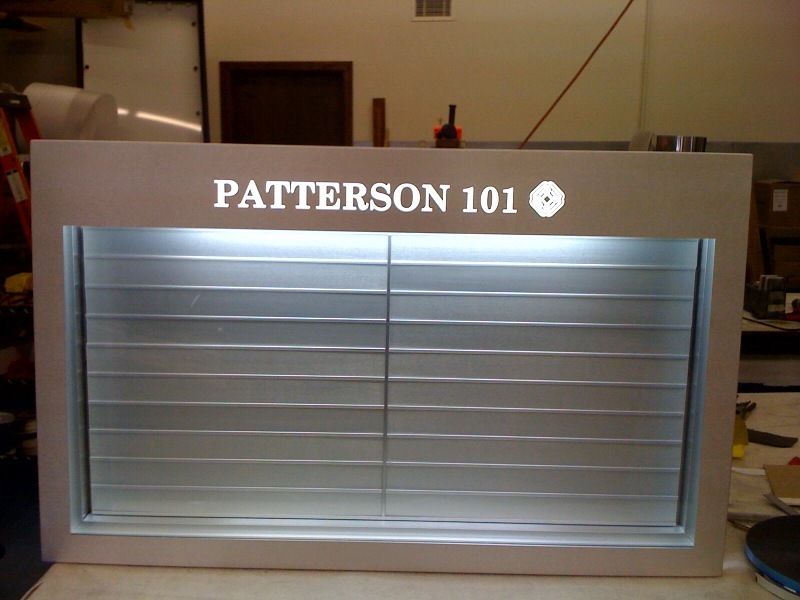 Our ThinLine Directory Sign cabinets can be illuminated by either fluorescent lamps or LEDs. This low profile cabinet, (less than 4" deep), is manufactured from our aluminum extrusions that were designed with superior strength, form and functional features that have enabled Teems, Inc. to satisfy customer applications, whether small or large, interior or exterior, that last for decades. 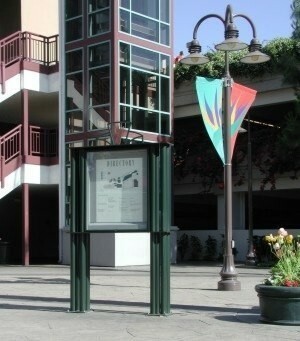 A full glass and framed glass door profile is available. 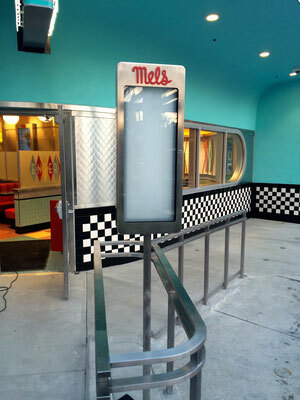 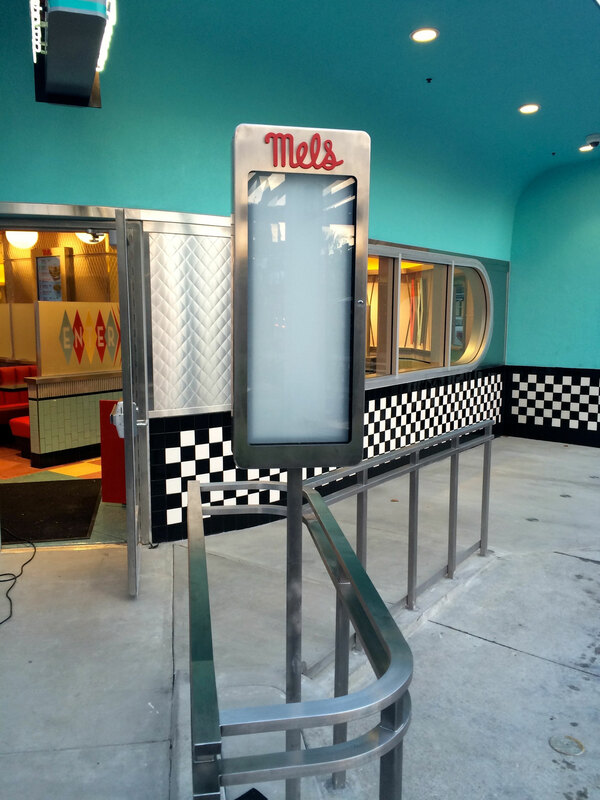 Slip over aluminum and Stainless Steel door facades are also available. Large Doors are supported by gas lifts. 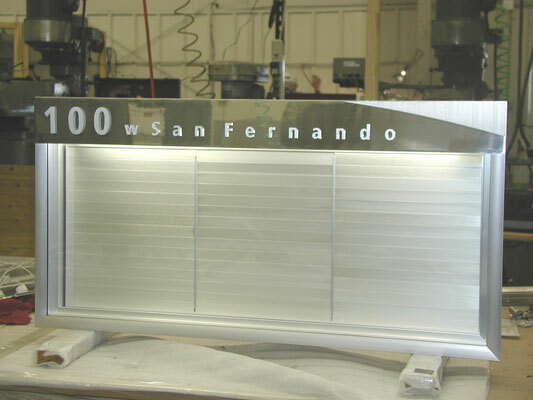 Standard finish is architectural black anodize. Clear anodize, Powder Coated colors and custom metal cladding is also available.